Do you _____ _____ _____ for summer vacation? Do you have any plans for summer vacation? 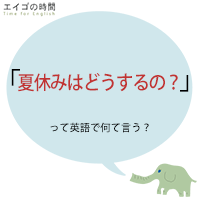 Next Post 英語で「長針・短針」は何と言う？ – They are not “needles”.